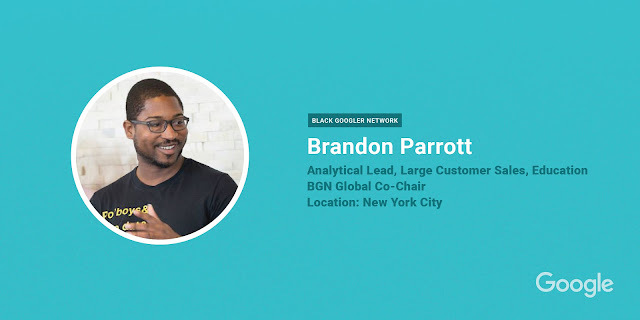 Brandon says: In addition to my job working on sales for Google’s large customers, I pursue my passion for diversity, inclusion, and giving back through my role as the BGN Global co-Chair. Giving back is core to BGN’s work: our Annual Outreach Trip convenes members from around the world for several days of service. In 2015 we went to Charleston, SC, where we conducted coding workshops for around 100 students and parents to expose them to computer science and how creative, collaborative, and fun it can be. The year prior, we held a Social Media 101 training for 100+ small business owners in Atlanta. Everyone deserves equal access to opportunity, whether it’s computer science education or the economic benefits of the Internet. I’m proud to have Google’s support while doing work that affirms #BlackLivesMatter. Robin says: I work as a Data Center Facilities Specialist in Atlanta, supporting and coordinating data center functionality for 350 onsite personnel. BGN has always been an important part of my Google experience: I supported the revival of our Atlanta chapter, served for three years on our service-oriented Outreach Leadership Team, and integrated our smaller data center chapters into a stronger, more supportive unit—BGN@datacenters. I also work on projects to expand access to technology in my local community. I serve as a CS First program evangelist, helping engage diverse students in computer science learning, and I’m a Diversity Ambassador advancing our diversity work in the data centers. One of my proudest moments was when I helped secure a Google grant for a robotics program at a local school—helping them scale the project from 10 students to 150! 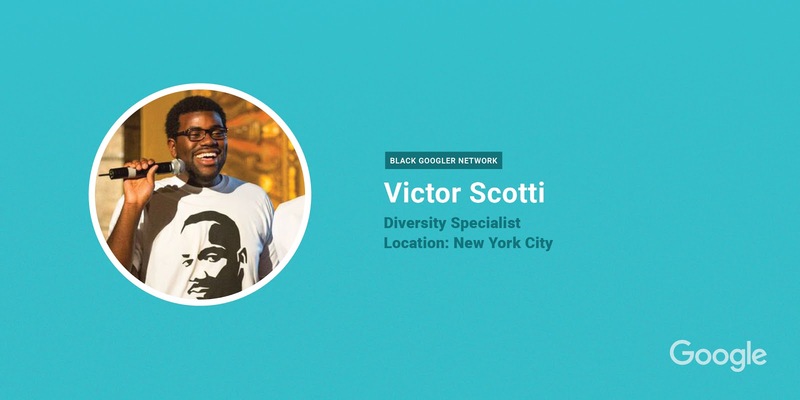 Victor says: In my role on the Diversity team, I work to ensure that all Googlers play a role in fostering a fair and inclusive culture. My work with BGN is focused around the multifacetedness of the Black experience. Through community partnerships and collaborations between BGN and Gayglers, I try to showcase the rich particularities to the personal and professional lives of Black people on the LGBTQIA spectrum. I’m celebrating Black History Month by renewing my commitment to unapologetically bringing my whole self to work each and every day. 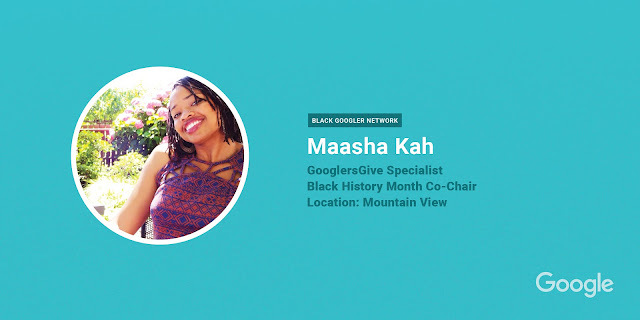 Maasha says: Our Black History Month theme within Google this year is «Lift Every Voice: Ignite Inclusion.» This theme of inclusion is powerful for me: when I first came to Google, I felt a bit isolated. I was not only a Black woman in Tech, but also working in the corporate social responsibility space, where there aren’t many Black folks. Joining BGN was critical in helping me feel like I could truly be myself at Google, with all my triumphs, tribulations, and differences included. These days, I’m passionate about making Google a place where everyone is comfortable being themselves. In my role on the GooglersGive team, a program which gets Googlers involved in charitable giving and community service, I’ve coordinated opportunities for Googlers to use their spare time giving back in places ranging from Oakland and Harlem to Ghana and South Africa. Projects include teaching students computer science skills, conducting outreach to at-risk youth, and working with communities struggling with homelessness and abuse. 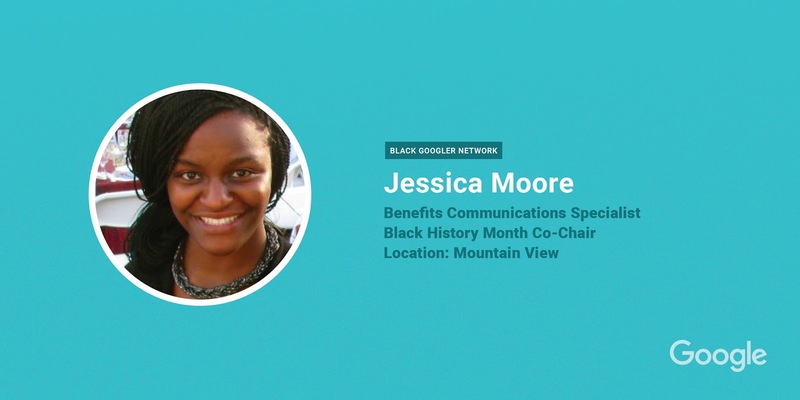 Jessica says: I first encountered Google’s commitment to making the company and the technology industry more diverse and inclusive as a BOLD intern on the Diversity team. Later, I returned to Google full-time on the People Operations team, and I plugged into the Black Googler Network. I’ve been able to serve in leadership roles for Black History Month, develop relationships with BGN members across the world, and interact with senior executives. BGN has provided me with opportunities that have helped me gain confidence and feel like I belong at Google—while allowing me to contribute to a cause much larger than myself.